If you want to start a business with a small investment in India, this for you. To survive healthy and vigorous ways need to eat nutritious food. There is no substitute for vegetables as a nutritious food. Besides, the vegetables traditionally have a well-known food for the people living in the Indian subcontinent. Considering the nutritional quality, the taste and the price of vegetables, the world’s top popular as a food. An adult people should eat 213 grams of vegetables per day. Without taking adequate vegetables, billions of people suffer from physical and human problems in India. Vegetables are very easy to cultivate and produce a crop. Many amateur entrepreneurs cultivate the vegetables in the roof and in the courtyard. There are plenty of nutrients available in the vegetable. The production and use of vegetables in the developed countries of the world has reached a very high level. By cultivating the vegetables in a modern way, apart from to meet the domestic needs and on the other hand, they can earn extra income by selling it. Therefore it is very important to cultivate vegetables as food, vitamins, minerals and cash crops. 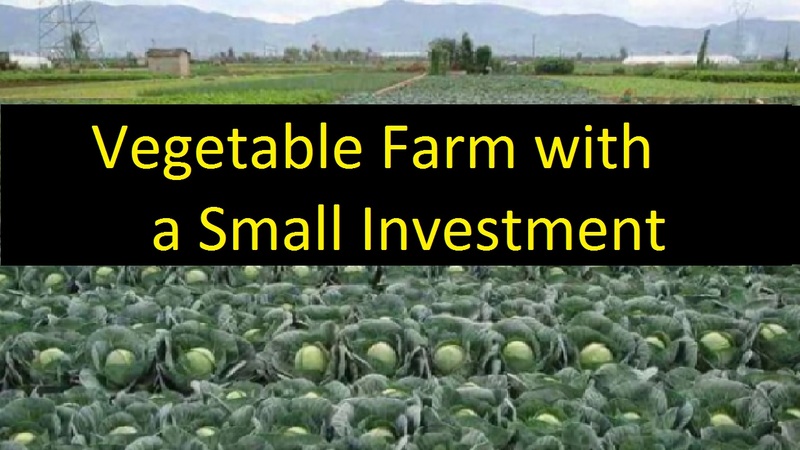 To cultivate vegetables can be used the fallen land for cultivating, foreign exchange earnings, solving unemployment problems, the creation of new industries and development and women and family labor force can be utilized. Many plants of the world are used as vegetables. About 60 varieties of vegetables are available in India. Based on the production season, these vegetables can be divided into three groups. Winter vegetables: Such as tomatoes, cabbage, cauliflower, beans, carrots etc. Summer vegetables: Such as balsam apple, pointed gourd, rige gourd, lady’s finger etc. Twelve months vegetables: Such as eggplant, green papaya, green banana etc. It is important to know about the important issues related to the production of vegetables. Before, cultivation or production of any vegetable, it is necessary to consider the following important topics. Selection of seedbed and preparing the land. Sowing the seeds and seeds care. Selection of mainland and preparing the land. Basil The well-drained sandy loam and clay fiber soil is best to cultivate. February to June is the best time to cultivate. The distance from row to row is 40-50 centimeter and plant to plant is 20 centimeter. Radish Loamy and sandy loam soil is best to cultivate. However, can be cultivated in all kind of soil. July to December is the best time to cultivate. The distance from row to row is 20 to 30 centimeter and plant to plant is 8 to 10 centimeters. Lady’s finger Loamy soil is better to cultivate. But in all kind of soil can be cultivated. February to May is the proper time to cultivation. However, in all month of the year can be cultivated. The distance from row to row is 60 to 75 centimeter and plan to plant is 45 centimeter. Tomato The well-drained fertile loamy soil is better to cultivate. However, in all kind of soil can be cultivated. August to December is the best to cultivate. The distance from row to row is 60 to 80 centimeters and plant to plant is 40 to 45 centimeters. Balsam apple The well-drained fertile sandy loam, the clayey or loamy soil is best to cultivate. It can be grown throughout the year. However, January to March, April to June or October to December is the best time to cultivate. In every aisle, 4 to 5 seeds can be planting. Red leafy In all kind of soil can be cultivated. However, the sandy loam soil is better to cultivate. Can be cultivated in every month of the year. 20-gram seeds should be sprayed on every percent of the land. It is better to cultivate the vegetables using organic fertilizers. Every percent of the land should be mixed 60 to 100 kg of organic fertilizer with soil. If needed, a small amount of urea and TSP fertilizers can be mixed. Ability to start vegetable farming: Experience and skills on cultivation of vegetables are required.